There is perhaps no director who has so perfectly captured the changing landscapes of modern China than Jia Zhangke. 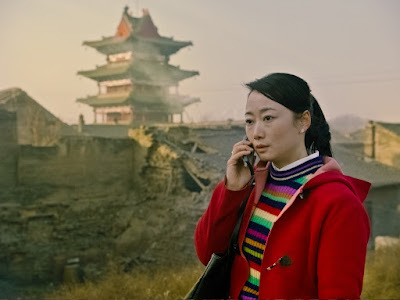 From the literal shifting landscapes caused by the Three Gorges Dam in Still Life (2006), to the dissolusion of industry in 24 City (2008), to generational conflict in A Touch of Sin (2013), Zhangke's camera has captured a nation in transformation. 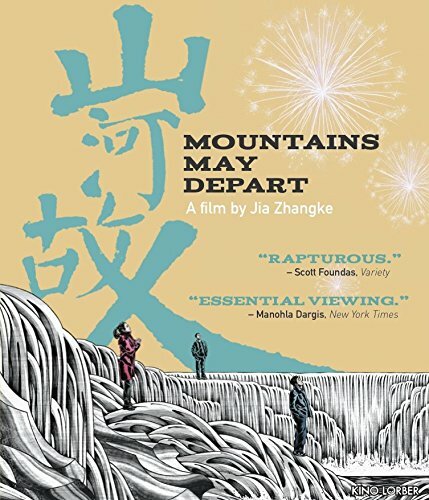 The opening credits of Zhangke's latest film, Mountains May Depart, don't occur until 45 minutes into the film, signaling to the audience that what we have been watching up to that point was, in fact, an extended prologue. Zhangke family melodrama spans three decades, and is divided into three different segments; 1999, 2014, and 2024, each shot in a different aspect ratio, widening the frame as the years wear on. Zhao Tao in MOUNTAINS MAY DEPART. Each of Zhangke's films seems to operate within the construct of a different genre. As his first melodrama, Mountains May Depart is the story of a family, whose changes and conflicts reflects that of the new China in which they live. It starts out as a love triangle between three friends, where a woman named Shen Tao (Zhao Tao, in a mesmerizing performance) is forced to choose between two men; one wealthy but jealous and temperamental, one poor but kind and just. She chooses the wealthy man, a coal magnate, who eventually leaves China behind with her son, while the poor manis hit hard by China's loss of industry. Meanwhile, he son is caught in the middle, growing up without even knowing his own native Chinese language, separated from his mother, and set adrift abroad. Zhangke captures a sense of melancholy about a nation for whom rapid change has created a loss of identity. He turns the film's melodramatic structure into a requiem for the China he once knew. Mountains May Depart is a film of cultural ennui wrapped in the tale of one family's struggles - creating a conflict deeply personal intimate. In that way, it becomes not just a personal tragedy, but the tragedy of an entire nation. 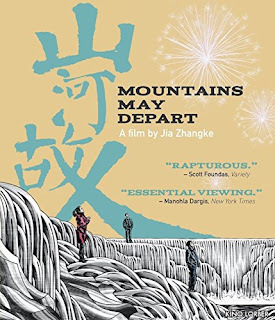 MOUNTAINS MAY DEPART | Directed by Jia Zhangke | Stars Sylvia Chang, Dong Zijian, Liang Jingdong, Zhang Yi ,Zhao Tao | Not Rated | In Cantonese and Mandarin with English subtitles | Now available on Blu-Ray and DVD from Kino Lorber.